The project of Kaur Voices was the brainchild of several Kaurs who felt a void: a lack of female perspective in discussions of Sikhi, a lack of attention given to the struggles of the Sikh female body, a lack of power given to the female voice. 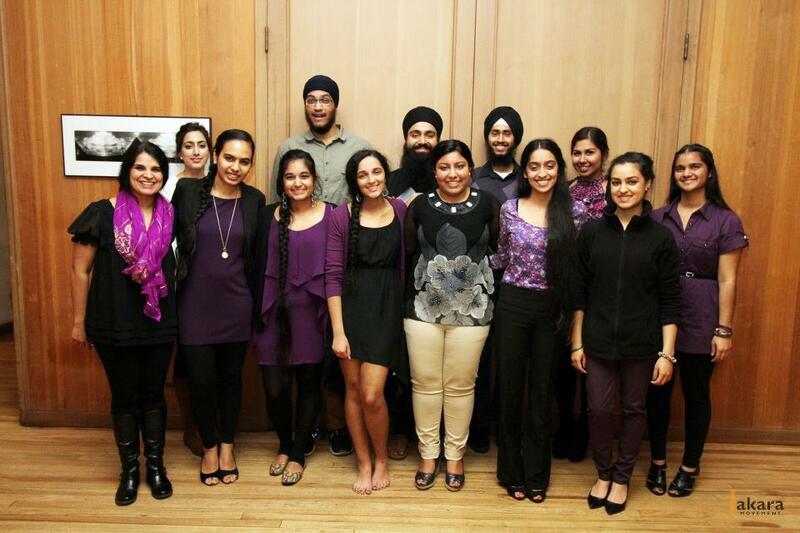 On March 2, over 80 young women and men from the Sikh community gathered into a packed room in Berkeley, CA and allowed us all to turn our full attention to the experiences of Sikh women in our lives. Thirteen beautiful and strong Kaurs and Singhs told personal testimonies sharing intimate details of their lives or the their perspectives on subjects that are often categorized as taboo or inappropriate to be discussed. We were inspired by one woman’s ability to bring up the naturalness of exploring and claiming one’s own sexuality; another woman showed her embodiment of “Kaur” through her artwork. A story about sexual assault was shared as well as a story about the strength of Mata Gujri instilling Sikhi into her two grandsons. From love stories to heartbreaks to statements of strength and unity, Kaur Voices was able to foster a sense of community and start those hard conversations about the woman’s perspective. Each story was passionate and heartfelt. Kaur Voices provided a unique platform for Kaurs’ voices to be heard in a safe space, where nothing was off limits, so that we as a community could open up our hearts and minds to the stories, the strength, the struggle, the wisdom, and the power of Kaurs. In no way were the stories shared meant to speak for all Sikh women and in no way does Kaur Voices claim to cover the intense diversity of stories that Sikh women have to share. The night was about listening to each piece as it is. As a story that deserves its own thought and reflection. We could not be more proud of the passion and understanding exuded by both the performers and the lively audience. Thank you to everyone who came to the show and thank you to everyone who came with open minds and walked away learning something new. Were you inspired by Kaur Voices? Learn what it takes to get this event going in your community. Contact us today!